Preeminent author and researcher Sherry Turkle has been studying digital culture for over thirty years. Long an enthusiast for its possibilities, here she investigates a troubling consequence: at work, at home, in politics, and in love, we find ways around conversation, tempted by the possibilities of a text or an email in which we don’t have to look, listen, or reveal ourselves. In the early years of cellphones, the younger generation’s affinity for texting might have been seen as another generation-gap marker. Almost surreptitiously, however, the cellphone has become much more than just the new way of doing things for a new generation. As eloquently documented in psychoanalyst Sharon Turkle’s new book, Reclaiming Conversation, the cellphone — and, more specifically, the smartphone — has dramatically shifted the core element at the heart of human society: human relationships. The havoc wreaked by the cellphone is not generation-specific because all generations are guilty. 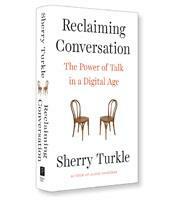 Turkle encapsulates the problem as one of losing both the desire and even the ability of conversation. 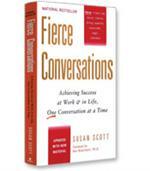 We avoid face-to-face conversations, or even phone conversations, in favor of texting or email. 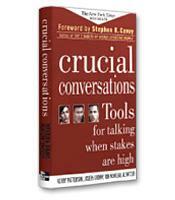 In her disturbing book, Turkle details the negative impact of moving from conversation to “mere connection.” It ranges from the end of imaginative and creative daydreaming — with a phone always handy, any spare second is filled with trolling through apps or checking Facebook — to the inability of being empathetic to others — which requires eye contact, listening and attending to someone — to even the inability of being true to one’s self. Today, unfettered journal entries have been replaced by carefully constructed positive posts on Facebook. The damage of the age of the cellphone impacts everything we do. In the workplace, for example, employees turn on their screens and put on large earphones to block out the rest of the world — resembling pilots in a cockpit, according to one manager. It is not that the employees want privacy or solitude. In fact, the fear of solitude is one of the major changes wrought by the smartphone; people are never alone and never want to be alone. As a result, even the simple assignment of working on a project is unfathomable to younger employees; they need to work in groups. Turkle is not anti-technology. She does not pine for a past that has disappeared. Instead, she compellingly describes how we are becoming unnecessarily diminished in our abilities as humans. The answer is not to reject technology but to use it properly. “We can become different kinds of consumers of technology, just as we have become different kinds of consumers of food,” she writes. Reclaiming Conversation is an important book, one that hopefully will be read and talked about — or at least posted about extensively on social media so that its vital message can break into the millions of cockpits that now make up our society.